Some games defy basic expectations. They hide meaty mechanics behind cute artwork, or they bury a party game behind a gothic-horror theme. 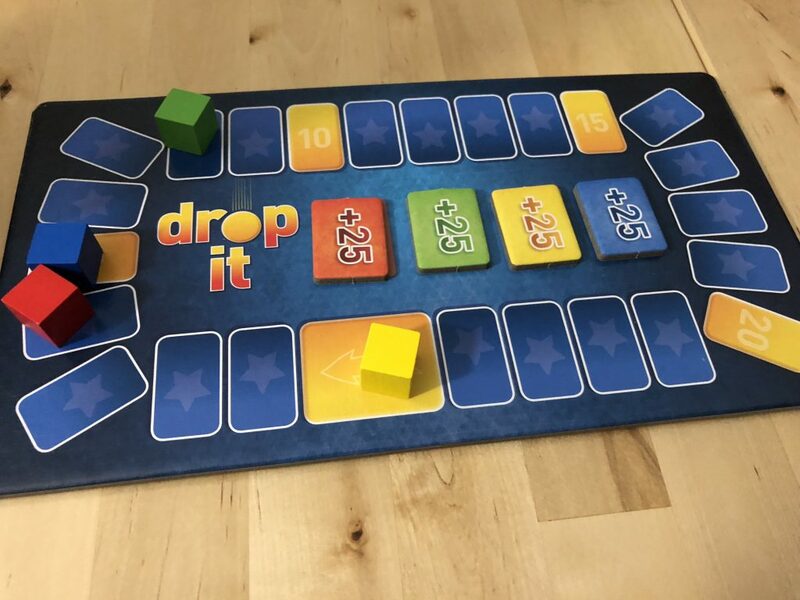 In the case of Drop It, Kosmos and designers Bernhard Lach and Uwe Rapp have couched a surprisingly rich dexterity game behind a colorful, connect-four inspired plastic toy. Don’t let the look of this one fool you, though. 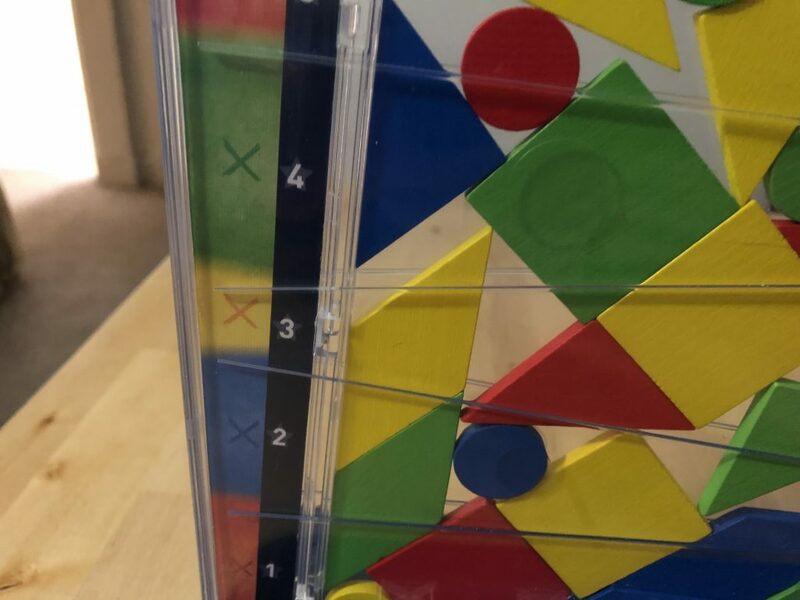 It manages what all the best dexterity games do – finding a way to be instantly accessible for children, and yet frustratingly difficult to master if you want to do well. 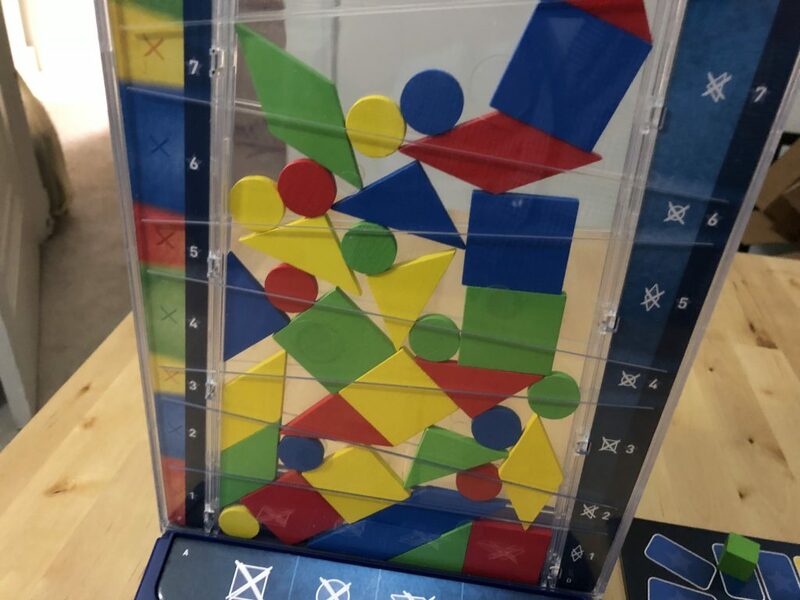 Combined with the need for tactical decision making about where to drop your pieces, how they fit into the spaces, and how to maximize your own score, it’s a clever combination of thinky and dexterity – the kind that will frustrate euro games to no end and thrill children who have the small fingers and focus to win against people three times their age. Drop It is a simple game in essence. 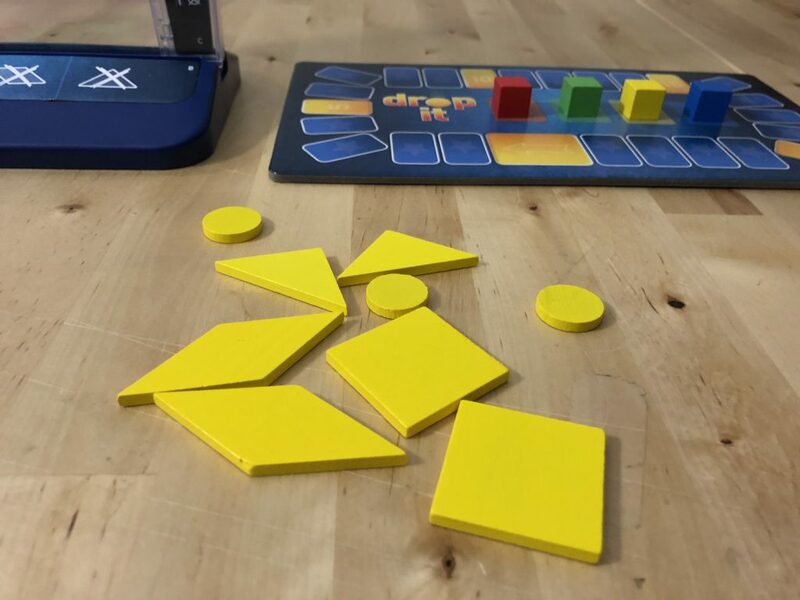 Each player has a pile of pieces in various shapes – triangles, paralellagrams, squares, circles – in their own color. On the base are several cardboard pieces that tell you different types of shapes that cannot touch certain edges. Additionally, you are not allowed to touch another piece of the same color or same shape. Do any of these three things and it negates any points you might score on your turn. The game continues like this until everyone has placed all of their pieces and then you score it up to see who did the best. As with any good dexterity game, there are some variants out of the box. 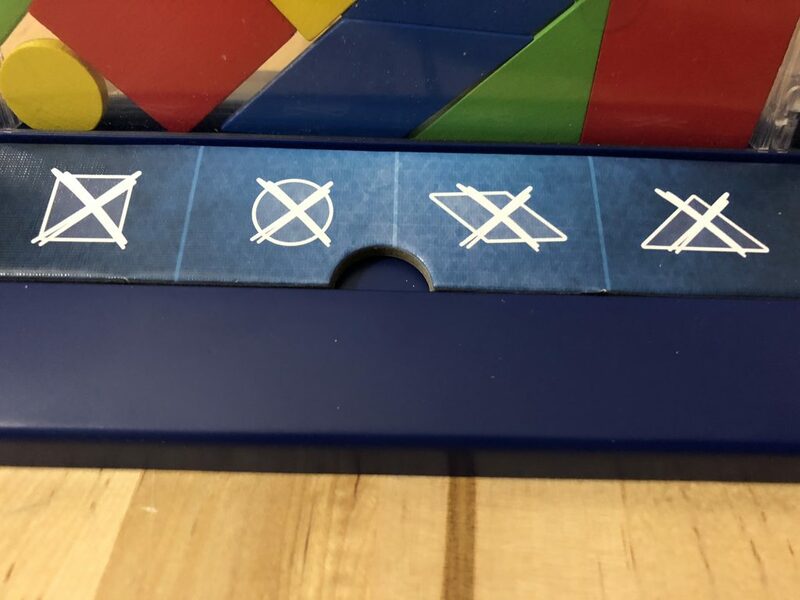 You can swap the cardboard borders between shape and color blocks, and you can use the extra tokens in the box to mix things up on your turn. 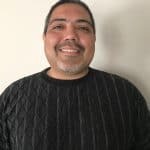 The core of the game is the same though – drop your pieces, maximize your scoring, set yourself up for the next round, and block your opponents. As simple an explanation as that is, Drop It is a solid game with a lot of depth to the mechanics once you really dive in. I can play with my kids and we all just drop pieces in and score the points. Half the time, I leave the borders out entirely and only recognize the shape/color rule, for simplicity’s sake. With other gamers, though, we can get serious. Every piece you drop does one of several things. The most obvious is to score your points. 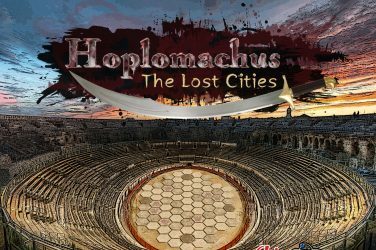 You can spend your entire game trying to maximize how many points you get with every piece you drop, and you’d likely do pretty well, especially with a fair bit of practice. But when you really delve into the mechanics of the game, you aren’t just scoring points. You’re blocking other people from scoring, locking out bonus points, and setting up your next move, forcing people to make certain moves that will benefit you one or two rounds into the future. 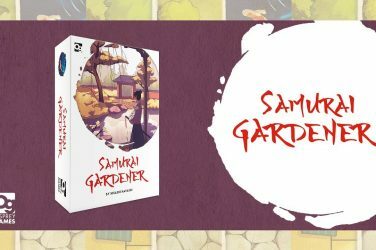 It’s all the maneuvering of an abstract game with the unreliability of a dexterity game, and for someone who wants a solid, easy to teach, quick to play game to fill in gaps in a game night, it’s perfect for that. As far as functionality, Drop It is well-constructed. Solid plastic with solid pieces and a base/plastic combination that goes together seamlessly, this is a great toy as game production. 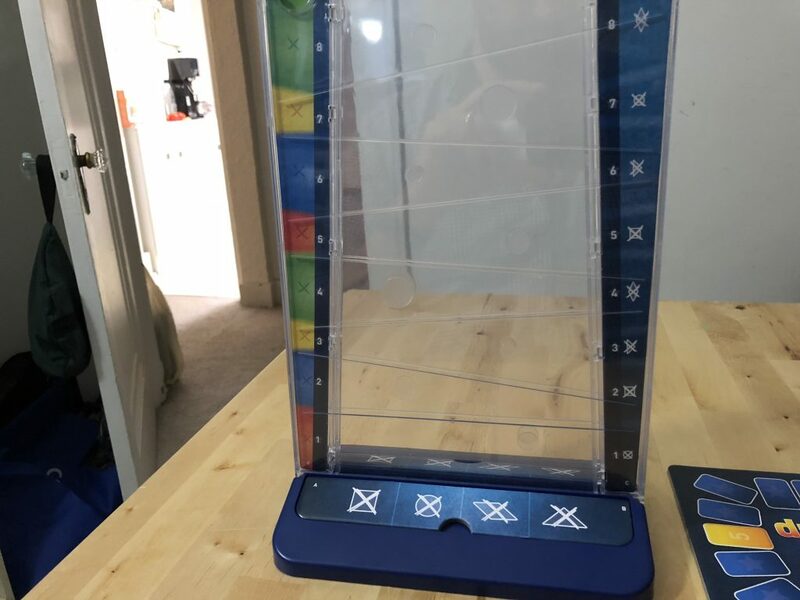 The price feels about right for a game of this scope from a small publisher, and the presentation works well to attract children and lovers of abstract games alike. One of the things that makes Drop It so enjoyable is also a major sticking point for many players. 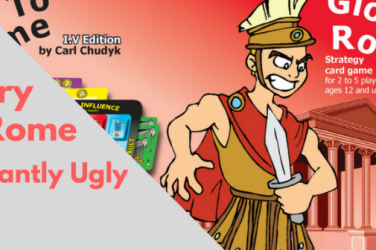 It’s a tactical abstract game in which you’re trying to manage placement and outflank your opponent, but at the same time, it requires some level of dexterity. You can make a perfect plan and fail to execute on it when dropping the piece. It’s plinko with a wider ruleset, and for strategy game players who want a game they can control as much as possible, that’s a non-starter. Additionally, there are a couple of points in the rules that are not completely clear. The borders vs. the shapes/colors restrictions can be confusing, and it’s difficult at times to see certain things, especially the clear circles on the plastic base for scoring. It’s nice that players can be on both sides, but if you’re not directly in front of the game, it’s difficult to see, and a small bump of the table can be devastating for future moves. Despite the drawbacks inherent in a game like this, Drop It does everything quite well. 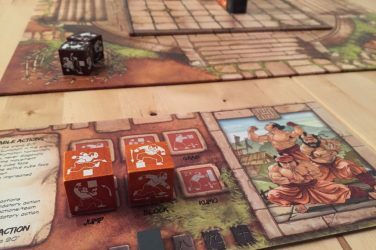 It’s engaging, easy to teach, quick to learn, and a nice blend of strategy and dexterity that works well for both adults and children. 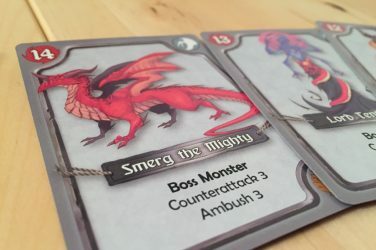 I’ve been able to get it to the table far more often and in situations I would not have expected, and for a game like that, there’s no greater endorsement than the willingness of a diverse group of people to play it multiple times. 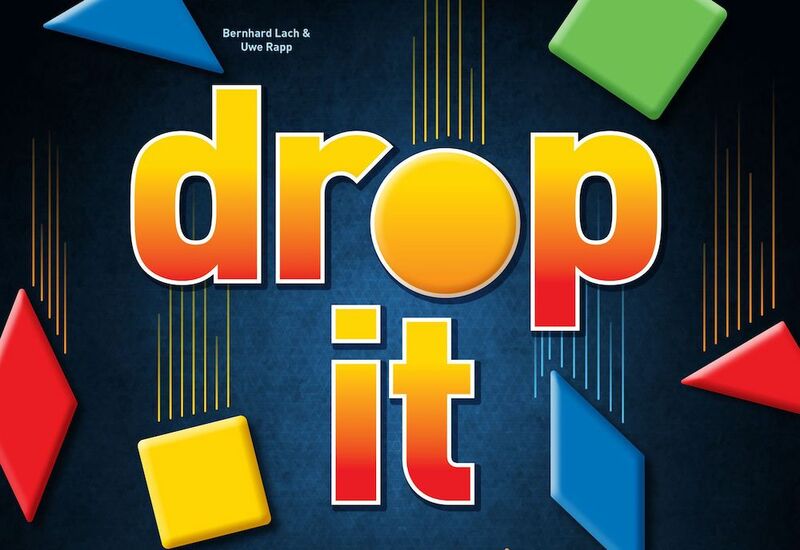 Drop It is a clever, quick to teach game with the right blend of tactical depth and dexterity meets hard luck. 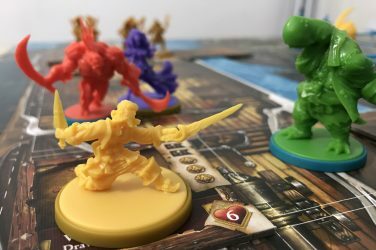 Play with your six-year-old or your euro gaming crowd for wildly different but equally engaging experiences.